Australian tour will mark their 20th anniversary visiting Australia. Led by 76-year-old Gyuto elder Gen Lama Thupten Phuntsok the monks will arrive in Western Australia at the beginning of June in Fremantle, with visits to Toodyay and Dunsborough added to their WA schedule. AROUND 2000 new apartments have been approved in residential developments across Perth and Fremantle in the past 12 months. 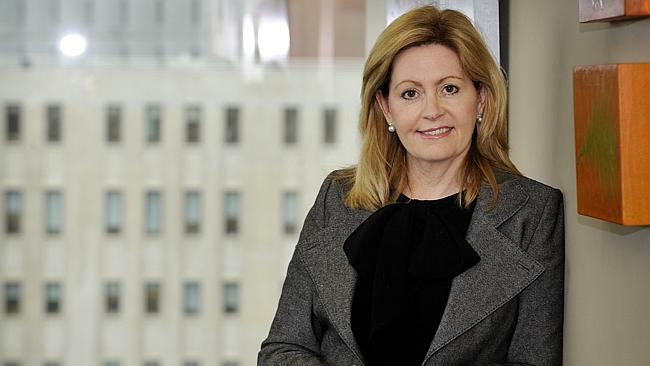 In a Q & A for The Sunday Times special Development Guidefeature, Perth Lord Mayor Lisa Scaffidi and Fremantle mayor Brad Pettitt described how the projects would change the landscape in their respective cities. Q — How many new residential housing developments have been approved for the CBD and when will they be built? A — To date in 2013/14, there have been 12 new residential developments approved by the City of Perth. They include 1174 apartments and 460 ‘Special Residential’ rooms. As to when they will be built, that is a matter for the developers. Q — Are there any new initiatives planned to activate the city streets during the winter months? A — There will be loads of new offerings at the City of Perth Winter Arts Season which gets under way on June 1. There will be cutting-edge theatre, music, opera, comedy, cabaret, dance, film, literature, family events and visual arts over the whole 3-month period. Q — What will Perth look like in June 2016? Talk us through the city from one end to the other. A — In two years’ time we’ll be well on the way to achieving better connections between the CBD and the Swan River. The inlet at Elizabeth Quay will be completed and public spaces around it will be emerging ahead of the major private sector developments, including residential. So there will be more people taking advantage of our beautiful Swan River. I’m really looking forward to progress on the Perth City Link between the CBD and Northbridge. The creation of a new City Square will be close to completion as will be the new below-ground bus station. The overall project will see one of the most significant changes to the city landscape in more than a century. In proximity to East Perth, the new Perth Stadium will be really starting to take shape. Waterbank and other components of the Riverside project will transform the eastern gateway to the city. Perth’s biggest hotel, the 25-storey Crown Towers, will have risen on the Burswood Peninsula and the residential towers for the Belmont Park racecourse development will be rising skywards. In regards to Subiaco, the local government reform outcome will not be known until August and the new entities will not come into being until July 2015, so it is too early to predict what will be happening there although any major structural changes would be unlikely by 2016. I can’t see the new ‘opera house’ happening but I would love to see a new lyric theatre and indigenous cultural centre progressing. Water taxis would add to activity on the river but would need a fairly strong business case to make that a reality. Q — Would a tight State budget put a damper on the expected timelines for any of these developments? A — Invariably there are big costs involved in major projects and budgets to consider. However, as many of the projects are already under way or close to it, I would expect that they will be delivered in good time. Q — Are there any plans to do more key city worker housing developments like Goderich St? A — Not at this stage. 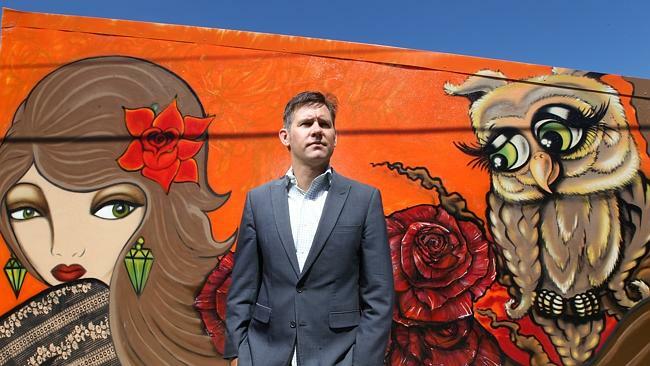 The City of Perth has shown what can be achieved in this field but ultimately provision of housing is more within the ambit of the State Government and the private sector, rather than local government. Q — Are there any other key development initiatives the City is working on at the moment which will change the face of Perth? 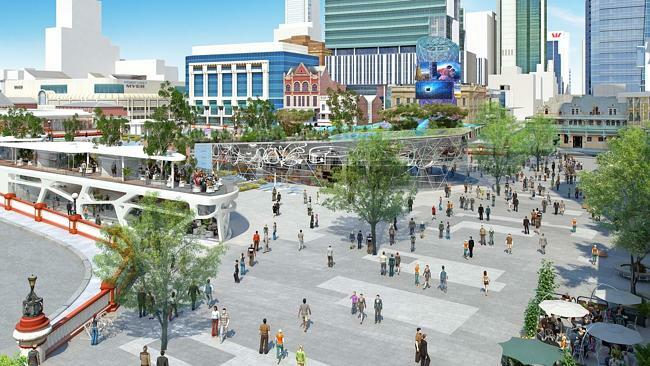 A — The Council’s biggest civil project is construction of the new City of Perth Library and public plaza in the Cathedral + Treasury Precinct, which will grace the city by 2016. This will be an architecturally stunning building providing state of the art library facilities and a meeting place for people in a rejuvenated heritage precinct. Construction is already well under way. This precinct is also the site of the exciting hotel conversion of the Old Treasury Building and an adjoining 33-storey office building. Q — How many new residential developments have been approved for Fremantle and when will most of these be developed by? A — There are about a dozen. 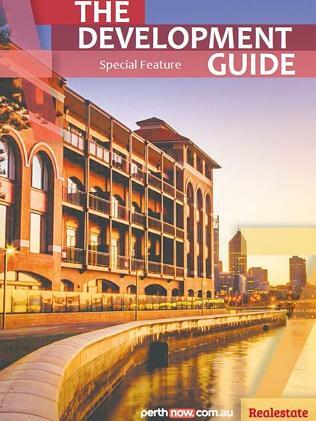 There are over 500 hotel units and close to 500 residential units. Everything is mixed use. So the ground floor should be commercial and the upper floors are a mix of hotel accommodation and residential units in some. They have been approved and development approvals last four years. I know some of them are intending to start this calendar year though. Q — A few sites have been bought on Queen Victoria Street for apartment developments. 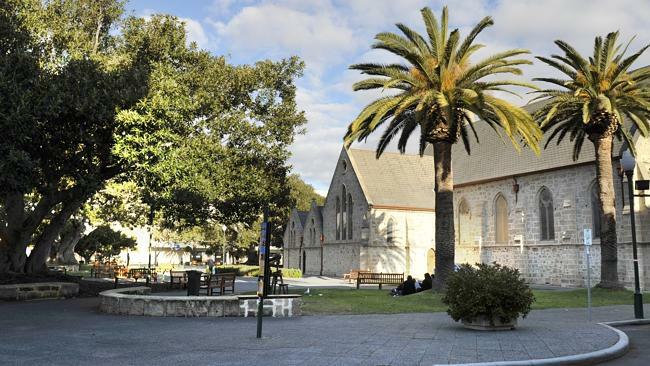 Which other key Freo streets will be redeveloped? A — Well that whole area from Queen Victoria Street down to the river will be developed. It needed a revamp. Our vision is that whole area will be redeveloped. It will be totally unrecognisable. What we’re wanting is that the closer you get to town hall the more office space there will be. As you go further out, the more residential it will get. But we do want to mix it up. The best cities around the world are the ones that are active 24/7. Q — What other key developments are happening at the moment and what will Fremantle look like in five years’ time? A — The Kings Square development is the major one at the moment. Stage one of that project has got development approval. That project is taking a really ugly precinct and putting in the best of contemporary architecture. We held an international design competition for it which Kerry Hill Architects won. We would hope that would kick off in six to 12 months. It’s all rolling along pretty quickly. The whole of the east end will be rebuilt. And in the west end heritage area, we won’t be knocking down any buildings but we’ll be seeking to redevelop the in-between spaces like car parks. Buildings in the west end will be kept to about three to four storeys. In the east end, it will be about eight to ten storeys. Q — Will there be any style requirements or restrictions put on new developments? A — We’re not about doing mock heritage. That whole new precinct will be contemporary. Quality is the key. We’ve got an independent design committee who advise us. And we’ve given bonus heights for good, environmental design as an incentive for developers. Q — Would Fremantle look to develop something like the waste to energy plants you saw in your recent trip to Japan? A — We wouldn’t do a plant in Freo. It would be something we would do in collaboration with other councils in the region. WA creates more waste than anyone else in Australia. Rather than just burying it, there’s a real opportunity here to make sure we find better ways of doing things. Q — As the city’s population grows in the Local Government Area amalgamations, will you be able to do more exciting and innovative things with the increased rate payer base? A — It’s early days. We don’t know what the final plan is there. If they go with the government’s preferred plan, it does allow for economies of scale and it will enable us to do more urban renewal projects. Q — Fremantle’s median unit price is around $485,000 at the moment. Are there any plans to provide affordable housing developments in the area? A — It is something we’re working on. It has become increasingly unaffordable for young people. We’re looking to start with homes from $300,000. We’ve mandated a diversity of unit sizes which should provide for students and younger couples and we’re engaging in partnerships on a number of sites. We have one on Quarry Street and one on Pakenham Street. We’ll deliver some with the NRAS scheme and others sites, which we owned, we sold at a reduced rate with the provision that the developer would sell a certain number of affordable units. The danger is for Freo that we will just end up with people with lots of money living here. And part of the charm of Freo is that it always been quite working class and diverse. There has been a lot of noise and angst around local government amalgamations in recent week largely because the State Government announced that would only fund less than a quarter of the estimated $65 million in costs. While there is huge frustration that the State Government have reneged on their promise to fund amalgamations, I don’t believe Fremantle will walk away from the whole process (as reported on last week’s Herald front-page) as we have come too far as a community to do that now. But many mayors and councils around Perth have said they will walk away and this may then put the whole reform process in jeopardy or force the state government to sack some councils. In reality I expect Fremantle’s response to be more moderate. We will make it very clear what parts of your rate rise is as a result of amalgamation costs so that all can clearly see the extent to which this cost shifting from state to local government has occurred. As for boundaries, we still expect the local government advisory board to make a recommendation in July and for state government to respond by August this year. Look out for the thousand of Fremantle Forever petitions been presented to parliament in June too. This great annual event will be in the Freo Town Hall on Sunday June 14 so pop it in your diary. After 10 years demonstrating his sustainable gardening concepts on the ABC’s iconic Gardening Australia television program, Josh has undertaken his most ambitious project to date, the design and build of a property that fully integrates the sustainability features of two cutting edge climate sensible homes and their surrounding landscape. Known as Josh’s House this project aims to showcase the benefits of sustainable living to industry and the broader com­munity and Josh Byrne reckons his latest garden is his best effort yet. This garden is the culmination of Josh’s ‘hands on’ work in horticulture, landscape design, environmental science and re­search over the past 20 years. Josh’s House typifies the very best in sustainable urban landscaping and integrated urban water management. The gar­dens incorporate climate sensible plantings, locally sourced and repurposed building materials, native species and habitat structures, as well as food production activities such as vegetables, fruit trees and chickens. Josh’s House has also been designed for families, with creative play spaces and a thoughtful combination of shared and private areas. Detailed performance monitoring of Josh’s House is underway as part of a three-year research project through the Curtin University and the CRC for Low Carbon Living, putting Josh’s ideas to the ultimate test. Visitors on the day will receive a self-guided tour map that highlights key features of the property, as well as receiving the opportunity to hear Josh speak about the design of his home and garden and his ongoing vision for the Josh’s House project. Today’s Fremantle Herald front-page unfortunately didn’t paint an accurate picture of the Fremantle Council’s or my position in response to a potential lack of funding for local government reform by the State. It would be fair to say that plenty of mayors expect their councils to agree to this and this may then put the whole reform process in jeopardy. I stated that I expected Fremantle Council to be at the other end of the spectrum – clearly unhappy about the lack of state funding but unlikely to walk away from reform all together. But this would be a transparent public debate of course. It is unfortunate that the Fremantle Herald didn’t get the subtly between what I was saying was the position of Mayor’s at the forum and that of Fremantle. In reality I expect our response is more likely to be making it very clear on our rates notices what parts of the rate rise is as a result of amalgamations so that all ratepayers can clearly see the extent to which this cost shifting from state to local government has occurred. The Mayors and CEOs are meeting with WALGA again this Monday to refine our joint position.